Twitter: A breather is a right time to re-focus on future coordinates. Studies show a lower level of new users on Twitter. However the level of engagement in twitter seems to have gone higher. 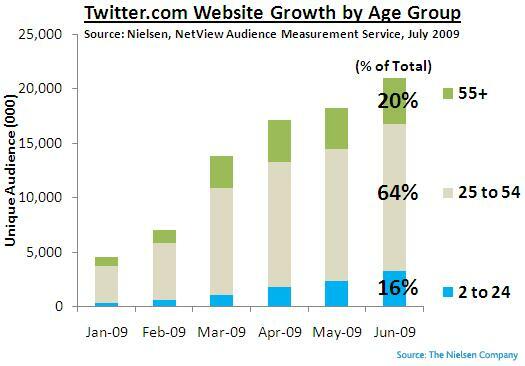 Perhaps, this low growth period is a good time for Twitter to look at growth engines for its sustained future growth. A recent survey by Barracuda labs has thrown up some interesting results and observation about the Twitter Phenomenon, that has been the focal point of micro-blogging and community based conversations. 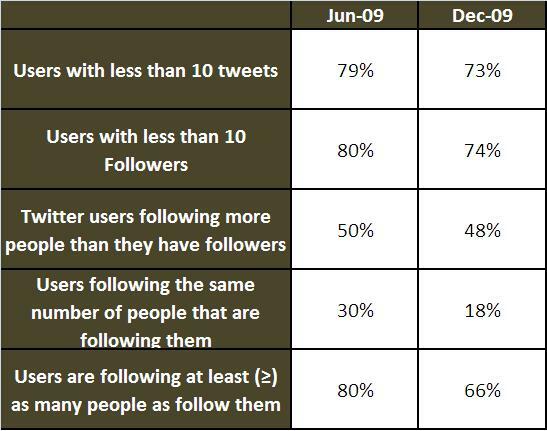 Unfortunately for Twitter, the stats say that most of its users aren’t very active.Only 26% of Twitter users had 10 followers or more by December 2009, while only 40% were following 10 people or more (in fact, a majority of Twitter users, 51%, were following less than five people). In terms of tweets, the report estimates that 34% of Twitter users hadn’t tweeted even once, while a whopping 73% of Twitter’s users tweeted less than 10 times. 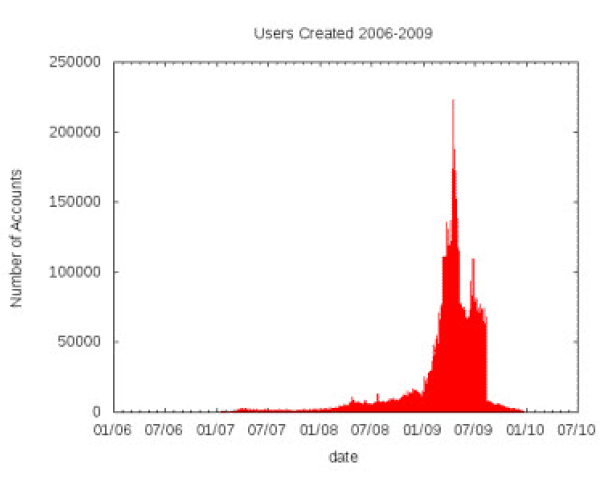 That means nearly all of the tweets on the social network were coming from about one-fourth of the userbase. Power users dominate. However, there real worry at Twitter is the dramatic decline in users created.Twitter use grew by 20% in April 2009 before dropping off to 0.34% growth in December 2009. This inspite of the fact that Twitter had some stellar real time coverages of the Haiti and Chilean earthquake, some with profound implication in terms of aid and life saving situations. However the silver lining is the fact that the stats are turning steadily into Twitter users and the chatter is expanding both in terms of number of size of users and the user engagement with the medium. 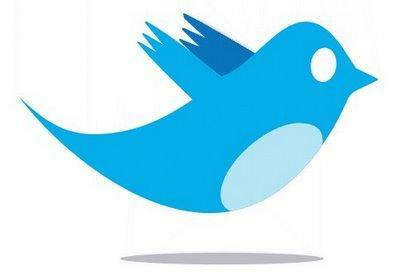 Twitter recently reported it had reached 50 million tweets per day. The new users of Twitter may seem to be hitting the saturation, but the existing users are enriching the content and context more than ever. Thus there is a qualitative enrichment of the platform. Twitter now has to ensure that it is able to integrate more features and services that make for a better user conversation and sharing experience. The Lists and Location Based Feature is just the beginning. Twitter has to deliver on innovation to add to the user experience even as users keep adding to the quality of conversation. Check out the detailed June 2009 report here. Here’s reproducing Twitter in a very innovative manner by CreativeCloud. The graphical conclusions sum up the printed Twitter mathematical figures in real-life ways and highlight just how much paper and money it would take to print out the entire microblogging site. – … the seven billion tweets to date are composed of 104,860,000,000 words, as many as 133,000 copies of the the King James version of the Bible. – … it would cover 350 million sheets of paper, which is 37 times the number of pages used in bills introduced in the United States Congress since 1955. – … the paper would weigh three and a half million pounds, the equivalent of 82 school buses fully loaded with 84 happily tweeting kids. – … and did nothing but read tweets throughout the entire work day, it would take 2,912 years to get through it. – … and laid the pages end to end, they would stretch 60,763 miles or two and a half times around the earth. – … on an average HP Inkjet printer, it would cost you $24,500,000 to print in black ink or $55,606,250 to include the Twitter blue. – … keeping up with the 26 million tweets daily would require 30 inkjet printers working around the clock to print more than 1,300,000 pages every day. A dinner table discussion on Online identity management is what got me to write this post. Intended to be a nerd’s guide to “doing things” on the net. Personal identities are migrating to the internet based social,crowd and professional networking platforms. Given the transformatory and disruptive effects that internet has brought on to societies, communities, businesses, information, and technology, it was about time that indentities went online as well. This post discusses Online identity management as a template. Why do we need Online identities? The “global village” term never seemed more true. What the internet has done is that it has multiplied reach and accessibility and democratized information. The internet is fast becoming every individual’s window to the world. What we choose to showcase through that Window is what we want to project ourselves as to the world at large. That is what i refer to as Online identity. The online identities may vary basis age demographics (assuming that the user is a normal internet user). So while students have a very heavy element of social networking in their online identities, executives and professionals will see a balance of social and professional networking elements. The reasons are obvious. Thus we have established the two important platforms: Social Networking and Professional networking as the two pillars of Online Identity management. 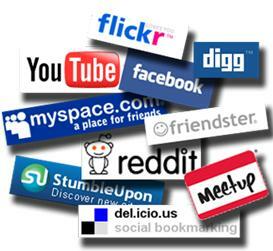 Facebook, MySpace, Bebo, Orkut are the prominent social networking sites and Facebook is the biggest amongst them. While Facebook also can be used for Professsional networking, my choice of Professional networking site is Linkedin because of the many other things that it allows you to do beside meeting and knowing people in the same profession. I use Facebook for my Social Networking and Linkedin for my Professional networking requirements. Sites such as Slideshare and Box.Net are important supports to my networking needs as they can be referenced readily for relevant subjects and material. What has emerged with Twitter is the trend of conversation. Even before Twitter, Facebook, Orkut,MySpace and other Social networking sites featured conversations but then Twitter democratized it by taking the conversation to the crowd rather than limiting it to our immediate circle of friends and relatives and collegues. Twitter thus has become a worldwide portal to meet people, discuss ideas, microblog ones opinions, create an online presence and publicizing self. It is also incredibly useful as a forum where one can talk to the experts and gain some recognition in the crowd. I strongly suggest refraining from status updates like “Taking my dog for a walk” on Twitter. That is a waste of time and unless you are Paris Hilton, no one really bothers about you or your dog. In the heart of Online Identity management is the “I, me, myself” thing. And nothing defines it better than an online blog, or a website for self. The decision to blog is not about an “impulsive do” but revolves around a larger context of “How i define myself? What is my expertise? What is my chosen area of work?” and a doggedness of voicing views regularly. As with the starters, it takes patience and time for the scale and number of blogs and the traffic to build. It takes time getting hits and reviews and comments. Hence this is a slow burn activity. 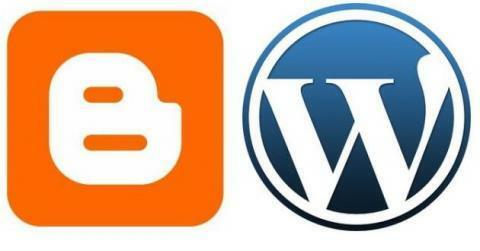 WordPress and Blogger are the most favoured Blog sites around that Bloggers use. One can however support his blog with publicity on Twitter, Professional and Social networking sites. Depending upon the relevance of the message and the target consumers of the information, traffic follows. A YouTube is a higher order blog where you can audio-visual your ideas and thoughts. The thing with Online content is that it needs to be relevant to the audience else you end up making monkeying yourself. The Fourth pillar in Online identity management is not much of “identity” stuff anyway. It is more of “convenience and storage” over the internet.So there are Google Docs,Calendar; there is Microsoft Sky Drive; there is GMail for all your mails; there is Picassa/Flickr for all your photos and more. It makes sense putting the data up in the cloud so that it can be accessed readily by you instead of lugging around your laptop.One good thing is that most of these portals can be connected through with each other such that a change in one updates others as well. So there you have it.. It isnt easy.. It is time taking and the whole idea needs to be strategically thought through in context of how you are, what you do and where you are willing to go. The decision and the thought predate everything else in building the online identity. 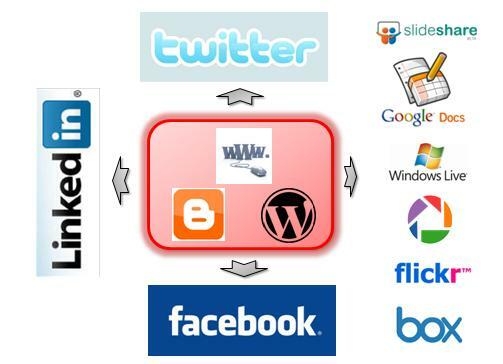 In an earlier post, I had discussed about the Facebook-ization and Twitter-ization of the global social networks. This post compares and de-mystefies the twin phenomenon: Twitter and Facebook. It isn’t as much a Twitter versus Facebook thing as it is a Twitter and Facebook thing. 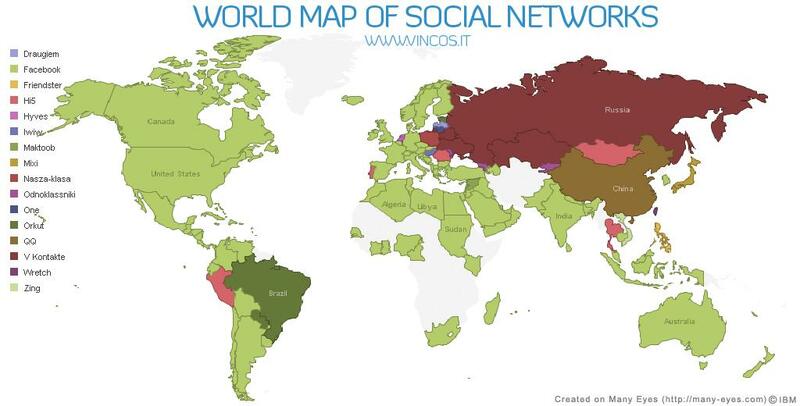 These two global maps tell the story of colonization of Global Social networks by Facebook. The last time, one would have seen such large levels of colonization is probably the British empire in the mid 19th century. The 2009 map is flawed because it doesnot factor results from Google Page ranks and uses the Alexa instead. This thus doesnot give a complete picture and is only 60% complete at best. The Orkut is not featured and it is a sizeable chunk in India and South East Asia. But the idea here is to show the remarkable spread of Facebook across the world. If not No.1 as indicated across, it is a respectable No.2 in lot of the geographies. two portals deliver social networking to the audience across geographies. This comparison goes to show how the two networks cater to different needs. Facebook to me is all about my network, my friends, my clique whereas Twitter is “my voice in the crowd. To that extent Facebook is a closed circle and Twitter is as open as can be depending upon a user’s relevance to particular field. Twitter features personal updates, but then it is tending more and more to broader subjects and the philosophy of crowd sourcing. 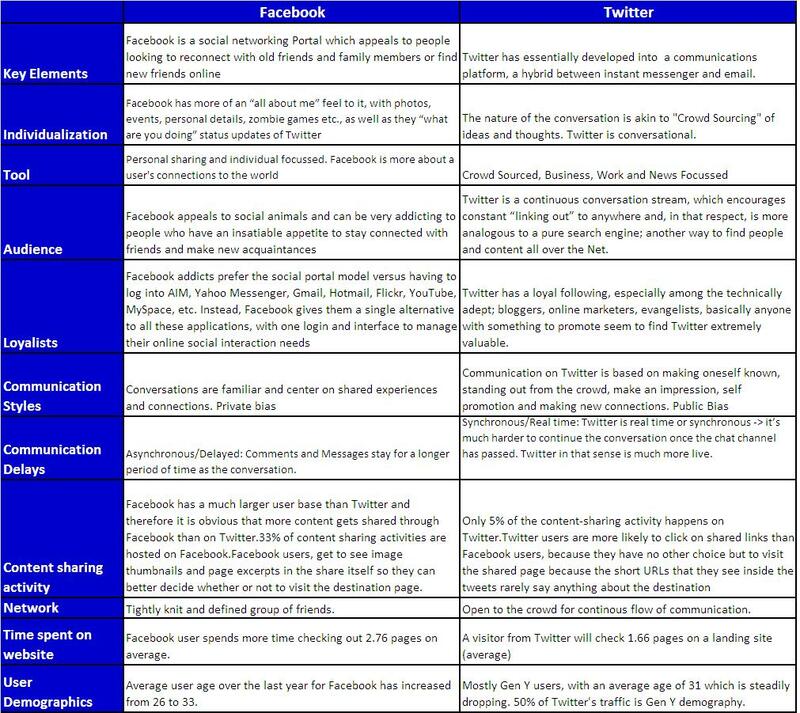 A handy detail of the pros and cons of Facebook and Twitter are as mentioned here. 1. A sharing opportunity is very transient on Twitter. The tweet tends to get lost in the constant flow of conversation or if relevant, it gets discussed and evolves. Facebook on the other hand, is a static medium, which keeps the sharing opportunity on for a longer time. Thus the audience can come back in time to browse through the URL/message. 2. With only 140 character’ss per tweet, Twitter inherently encourages URL click throughs as the complete story while the Tweets act as headlines. However, Facebook has larger within page click thru’s because being a closed circle there is a greater opportunity to browse easily and spend time on the portal of the referrer (because the referrer is someone you know). 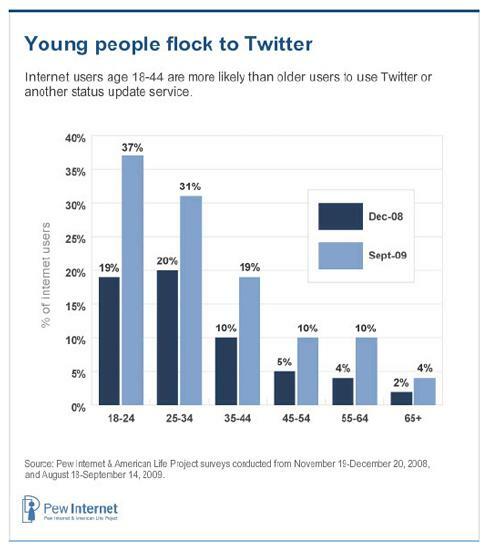 Interestingly, the audience demographics on Twitter is younger than Facebook. While Twitter shows a healthy growth in users across all ages, most of its users are 32 years and younger ( called the Gen Y). The spending power lies in the Gen Y demographics and it is more likely that Businesses would like to talk to users through this medium. The RTs and @s deliver the business message on a one to one level with relevant consumer groups which is why a lot of the companies are increasingly use Twitter as the medium of communication. A statistic by Nielsen shows that Facebook demographic profile is around the 31-33 years mark and tending to the older ages whereas Twitter age profiles are 26-31 and tending to younger ages. What helps Twitter are the fan followings that the big crowd pullers get who are mostly less than 30 years. Check Ashton Kutcher, Ophray Winfrey, Shahid Kapoor, Chetan Bhagat, Priyanka Chopra, Genelia D Souza on Twitter. It is easier to follow them on Twitter rather then they have inordinately large Facebook accounts with hundreds of thousands of followers. 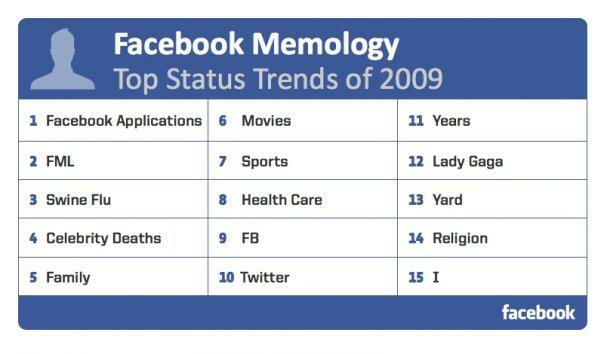 Finally, the Facebook versus Twitter trends validate the usages that both these portals serve. For instance, Twitter serves up with News such as Iran Election, Gaza, Iran, Earth Hour, AIG, Wave, Windows 7 and more. Most of these topics are macro discussions and relate less to individual and more to a continuous news stream. The Facebook is about I, Facebook Applications (How the user indulges in his online activities), Fan Followings, Celebrities etc. 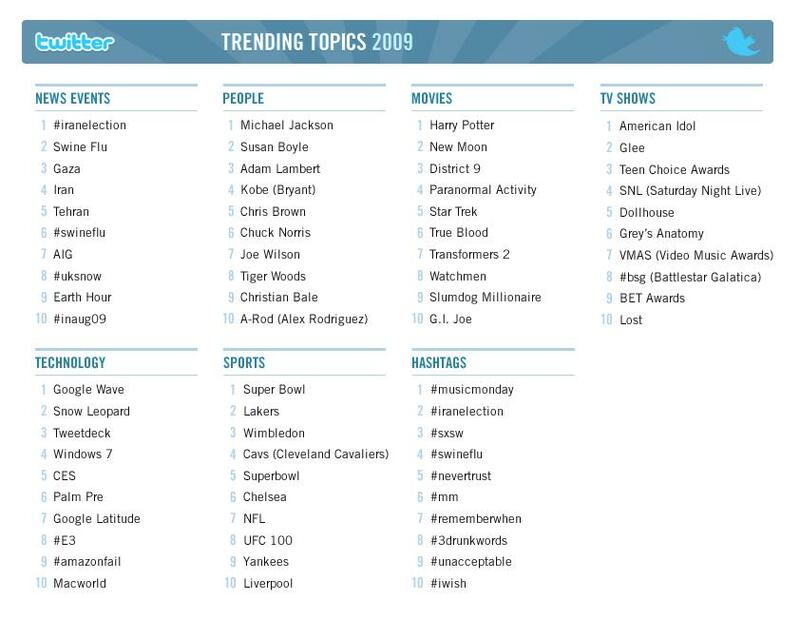 Interestingly, Twitter also finds a mention as a FB trend. Net of all things: The debate “Which is better: Facebook or Twitter” is quite fruitless. 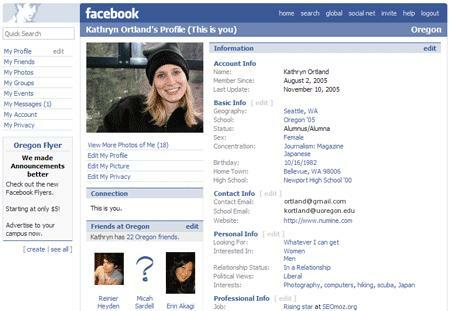 Twitter and Facebook help in forging the user’s online identity: a social side and an “interests”/crowd/community side. Both have commonalities but the usages are very different. For me, I have a Facebook account for my social circles, a Twitter account for the crowd conversation, a Linked in Account for my Academic/Professional pursuits and a blog for showcasing my thoughts and ideas. It isn’t as much “A versus B” as it is about being complementary. Unique visitors to Twitter increased 1,382 percent year-over-year, from 475,000 unique visitors in February 2008 to 7 million in February 2009, making it the fastest growing site in the Member Communities category for the month. 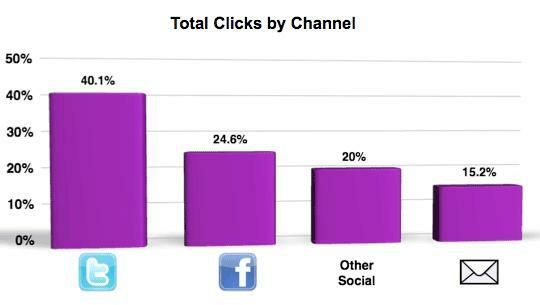 Zimbio and Facebook followed, growing 240 percent and 228 percent, respectively. The emergence of India in Twitter land! Twitter continues to be dominated by users from United States, its slowly gaining prominence in other countries as well. Almost half of Twitter users come from United States followed by Germany. India, till a few months back was fighting to be among the top ten Twitter users in the world; now is the land of third highest Twitter users in the world. 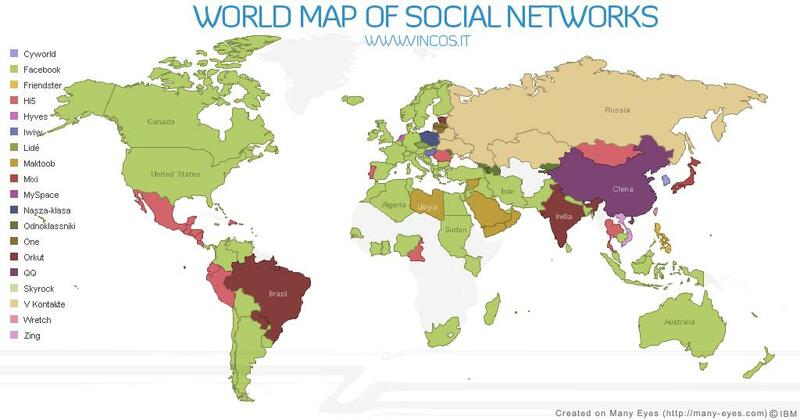 It is great to see Twitter expand at this rate in a country which has only 7.1% of its population using internet. The internet usage in India has grown at 1,520% from the year 2000 to 2008 and today it has the fourth highest number of internet users. Twitter has already become the third most popular social networking site in India. The first and second being Orkut and Facebook respectively. According to the top sites by Alexa in India, Twitter is already the 13th most popular site in the country. The social networking scene in India has increased by leaps and bounds and the followership can be a telling factor in a lot of marketing and branding initiatives. No wonder then, that brands in India are increasingly using Blogs, Micro Blogs and other avenues to reach out and engage their consumers and one can see trend taking over in India. A fresh new study done at Penn State by Jim Jansen, Mimi Zhang, Kate Sobel and Twitter chief scientist Abdur Chowdhury talks about how consumers use Twitter to talk about brands. This is being published in an upcoming issue of “The Journal of American Society for Information Science and Technology,” shedding some light on how many people are Tweeting about brands and what they’re saying. The study analyzed half a million Tweets analyzed in a 13-week period. 19% tweets talked about a brand of some manner.Although the positive tweets represented the largest quantity, there were a substantial percentage of negative tweets. Prior research in the impression formulation literature has shown that negative comments have a greater impact than positive ones.” This re-enforces the popular anecdote that an angry customer has a greater affect on a company than a positive one. There is a trend when it comes to micro-communication and what it is used for. Businesses use micro-communication for brand awareness, brand knowledge and customer relationship. Personal use is all over the board. http://www.samsungblog.co.za , http://www.lgblog.co.uk, http://www.viewty-blogspot.com and http://www.conversations.nokia.com discusses Samsung/Nokia/LG technologies and products and is a means to disseminate information and educate the consumers on Samsung/Nokia and its products/services. Even the home grown Micromax has Micromax-mobile.blogpot.com as a means to talk about their products. Facebook profiles of company initiatives are not unusual anymore. Fan Following helps! Tweets have an impressive ability to reach consumers and are about as close as one can get to the customer point of purchase for products and services. From a consumer perspective, it gives them the power to tap into the experience and collective of other users and peers. From a brand perspective, it gives access to “active” consumers and “interested” targets. It is also an active means to seek feedback and study competition ills and plusses. On a higher level, crowd sourcing can be a very dynamic design approach to new products, technologies, delivery mechanisms and services. Check Wikipedia for an example! Never before have consumers had access to so many opinions at all stages of the buying and decision making process than today and the actions that companies take both in the marketplace and on social networks will prove to be an incredibly important factor in purchases for the foreseeable future. Facebook, then is on a roll after a whopping $50 million acquisition of Friendfeed in cash and stocks. World’s largest social network just boosted their technology in real-time updates, conversations and search. And right after the acquisition news came the update from Facebook that they are rolling out the new Facebook Search which will enable users to search for status updates, photos, notes, images and links. Facebook has effectively nipped one of its major shortcomings in the bud: to somehow index and arrange the millions of data flowing through the social network. Let’s have a showdown between the three giants on the web right now. Twitter has been the leader in real time search till now, but by making Facebook real time searchable they have challenged what Twitter wants to do: to be the pulse of the planet. And the FriendFeed technology and interface has always been acknowledged as the best; combine this with the content of 250+ million members from Facebook and you have got yourself a fast, accurate and huge search engine; the true pulse of the planet. Arranging real time information has always been difficult because it is hard to differentiate the conversations from the chatter. There are times when the relevant talk just gets buried in a flood of useless chatter. The new Facebook will crawl the last 30 days of news feed and bring you results. Of course, it’s not as if Twitter is going to shut down just because Facebook added some new features. Users have spent months in building relationships and networks there; they won’t shift easily. And I still stand by the idea of using @twitter_handle for calling users and connecting them in 140 words. Can Facebook duplicate this too? You think it’s a co-incidence that the Facebook acquisition and new real-time search engine news were announced on the same day? Entirely wrong, my friends. I have been a long time believer in the simple fact that if there’s any potential in the future of search, it is in real time. And Google has just been backslapped by Facebook. 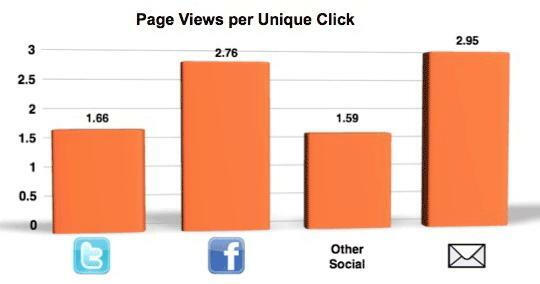 As I said, the real time search capabilities of FriendFeed combined with the huge mass of Facebook is a power to reckon. The data was always flowing in the Facebook pipes, someone just needed to mine it. Does the fact that Google also announced new tweaks in the search engine change tilt the showdown in their favor? Well, maybe slightly. But you can keep making search load faster or even give more results; if you can’t tell me what’s happening 5 secs ago then I am not interested. We are all impatient by nature. Money wise, if the Facebook and FriendFeed brains can crack the real time code, then they can convert the millions of comments and links sharing into billions of keyword searches. And there in lies the business model. If you look over at Google’s court you will see Google Wave coming soon which promises to be the new definition of web communications. And they are still the forerunners in indexing data accurately (though Bing might be catching up, especially after the Yahoo! deal). Google Android and Chrome in them hold high stakes in transforming how our future generations will see the web, mobile or otherwise. I don’t think there are many debates here. Unless Twitter learns how to index the links that flow around in their pipes, most of the talk on Twitter is just chatter. They are definitely the winners here in real time search, while Google leads in quality. And let’s not forget that Twitter still hasn’t found out a monetization plan. So, this was it; a complete breakdown of the what-is-what of internet. Facebook and Friendfeed will be the beginning of very exciting times on the social media and internet scenes around. Watch this space!